Application of magnetically levitated trains (maglev) has attracted numerous transportation industries throughout the world. Maglev stations are centers for planning, traffic attraction, and preparing the fleet. They definitely play a key role in any maglev system. The annual increase in passenger numbers and increasing willingness to use maglev systems indicates the necessity of professional designs for stations. Despite this necessity, no well-accepted report has been presented for the design and evaluation criteria of maglev stations yet. Therefore, a systematic approach is required for this methodology. For this purpose, the research provides a comprehensive overview of the design and evaluation criteria for maglev stations, including structures, equipment, and facilities. Moreover, primary activities at maglev stations are investigated and evaluated. In addition, this paper has tried to adopt a proposed algorithm considering the needs and volume of passengers. These studies facilitate planning and development of maglev stations. Based on this approach, passengers will face stations with appropriate area, the acceptable service and welfare space. This will answer the growth of passenger traffic in maglev systems and attract more passengers. H. Yaghoubi, N. Barazi, and M. R. Aoliaei, “Maglev”, Chapter 6, Infrastructure Design, Signalling and Security in Railway, pp. 123-176, ISBN 978-953-51-0448-3, InTech Publisher, University Campus STeP Ri, Rijeka, Croatia, 2012. H. Yaghoubi, N. Barazi, K. Kahkeshan, A. Zare, and H. Ghazanfari, “Technical comparison of maglev and rail rapid transit systems”, the 21st International Conference on Magnetically Levitated Systems and Linear Drives, Daejeon Convention Center, Daejoen, Korea, 2011. H. Yaghoubi, "The most important advantages of magnetically levitated trains", ASCE, 11th International Conference of Chinese Transportation Professionals (ICCTP), Nanjing, China, ISBN 978-0-7844-1186-5, pp. 3974-3986, 2011. H. Yaghoubi and M. Sadat Hoseini, "Mechanical assessment of maglev vehicle – a proposal for implementing maglev trains in Iran", The ASME 10th Biennial Conference on Engineering Systems Design and Analysis (ESDA), Yeditepe University, Istanbul, Turkey, Vol. 2, 299-306, ISBN: 978-0-7918-4916-3, 2010. R.E. Dickinson, City Region and Regionalism: A Geographical Contribution to Human Ecology, Kegan Paul, Trench, Trubner, London, 1947. K. Lynch, The Image of the City, MIT Press, Cambridge, 1960. M. Jacobs, Multinodal Urban Structures, Delft University Press, Delft, 2000. M. Binney, Achitecture of Rail: The Way Ahead, Academy Group LTD, London, 1995. K. Powell, Stansted Norman Foster and the Architecture of Flight, Fourth Estate Ltd, London, 1992. H. Yaghoubi, Magnetically Levitated Trains, Maglev, Vol. 1, Pooyan Farnegar Publications, Tehran, Iran, ISBN 978-600-5085-05-1, 2008. 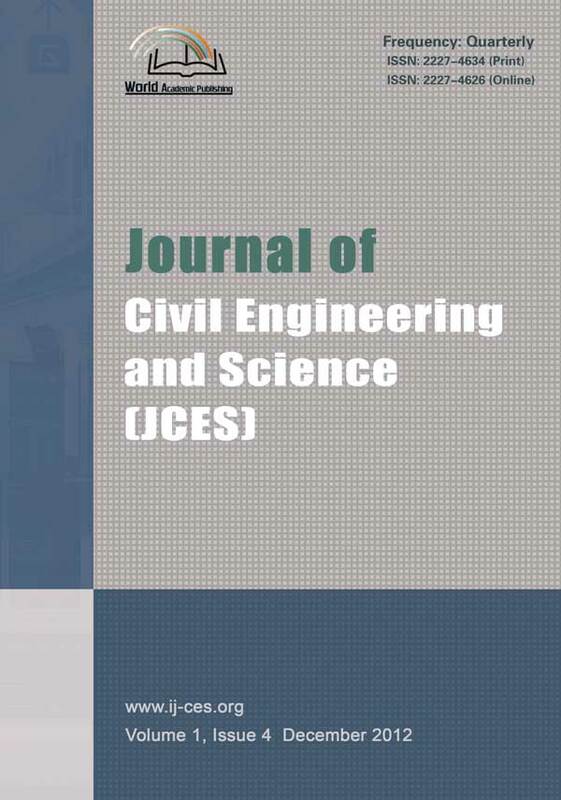 H. Yaghoubi and H. Ziari, "Development of a maglev vehicle/guideway system interaction model and comparison of the guideway structural analysis with railway bridge structures", ASCE, Journal of Transportation Engineering, vol. 137, issue 2, pp. 140-154, 2011. H. Yaghoubi and M. A. Rezvani, "Development of maglev guideway loading model", ASCE, Journal of Transportation Engineering, vol. 137 issue 3, pp. 201-213, 2011. H. Yaghoubi and H. Ziari, "Assessment of structural analysis and design principles for maglev guideway: a case-study for implementing low-speed maglev systems in Iran", The 1st International Conference on Railway Engineering, High-speed Railway, Heavy Haul Railway and Urban Rail Transit, Beijing Jiaotong University, Beijing, China, China Railway Publishing House, pp. 15-23, ISBN 978-7-113-11751-1, 2010. H. Behbahani, H. Yaghoubi, and M. A. Rezvani, “Development of technical and economical models for widespread application of magnetic levitation system in public transport”, International Journal of Civil Engineering (IJCE), vol. 10, no. 1, pp. 13-24, 2012. H. Behbahani, and H. Yaghoubi, "Procedures for safety and risk assessment of maglev systems: a case-study for long-distance and high-speed maglev project in Mashhad-Tehran route", The 1st International Conference on Railway Engineering, High-speed Railway, Heavy Haul Railway and Urban Rail Transit, Beijing Jiaotong University, Beijing, China, China Railway Publishing House, pp. 73-83, ISBN 978-7-113-11751-1, 2010. Lockheed Martin- Integrated Systems and Solutions, and IBI Group, “Conceptual design of stations and maintenance facility”, technical report, phase 2: preliminary design of stations & maintenance facilities, Southern California Association of Governments, maglev development program, 2006. Federal Transit Administration (FTA), Office of Research, Demonstration, and Innovation, “Urban maglev technology development program Colorado maglev project”, U. S. Department of Transportation, Final Report, 2004. A. L. Stone, “High speed maglev station - Los Angeles”, thesis in architecture, bachelor of architecture in design, The Architecture Faculty of the College of Architecture of Texas Tech University, 1994. Parsons Brinckerhoff Team, "Alignment/station screening methodology", California HSR program EIR/EIS, California High-Speed Rail Authority, Task 1.5.2, 2001. S. Ravn and P. Reinke, "Various aspects of aerodynamics and their implications on the design of the tunnels and underground stations of the magnetic levitation highspeed link in Munich (MAGLEV)", the 19th International Conference on Magnetically Levitated Systems and Linear Drives, Dresden, Germany, 2006. K. Marscholek-Uecker and G. Huhn, "Innovative stations for an innovative transport system – the maglev stations Munich central railway station (“Hauptbahnhof”) – airport", The 19th International Conference on Magnetically Levitated Systems and Linear Drives, Dresden, Germany, 2006.